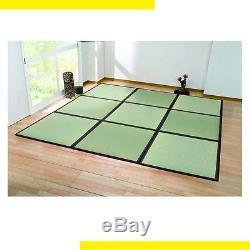 Title:Japanese tatami unit Igusa Rush Mat Agura 82x82cm 9 Pcs Set from japan Condition:New (100% Authentic from japan) Feel that entering Igusa mat(Tatami)'s room, the scent of Japanese culture'Igusa(Tatami)' with a history of about 1500 years. Igusa' has high hygroscopicity, adsorptivity and deodorant effect. This high hygroscopicity has the function of releasing moisture when the air is dry. The hygroscopic effect keeps comfortable humidity throughout the year. [Description] Brand: IKEHIKO MPN: 8628109X9 Material: Japan made igusa Style: Igusa unit mat Number of pieces: 9 Country of origin: Japan Size: about 82 x 82 x Thickness 1.7cm Product weight: about 14.8kg Language: Japanese Accessory: Connecting joints [Details] 100% Japan Igusa High hygroscopicity and adsorptivity Anti-mite, anti-mold, antibacterial, deodorant effect. To UNITED STATES OF AMERICA. To North America and Asia and Europe and Oceania. We do not mark merchandise values below value or mark items as "gifts" - US and International government regulations prohibit such behavior. Our items are 100% Authenic. Lacking of accessories is not acceptable. 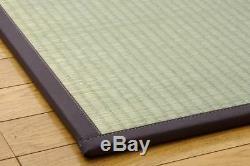 The item "Japanese tatami unit Igusa Rush Mat Agura 82x82cm 9 Pcs Set from japan" is in sale since Friday, September 14, 2018. 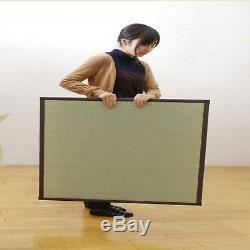 This item is in the category "Home & Garden\Rugs & Carpets\Door Mats & Floor Mats". 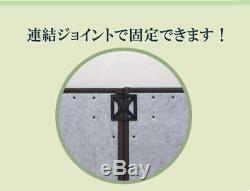 The seller is "komari0707" and is located in JAPAN. This item can be shipped to United States, all countries in Europe, all countries in continental Asia, Canada, Australia.